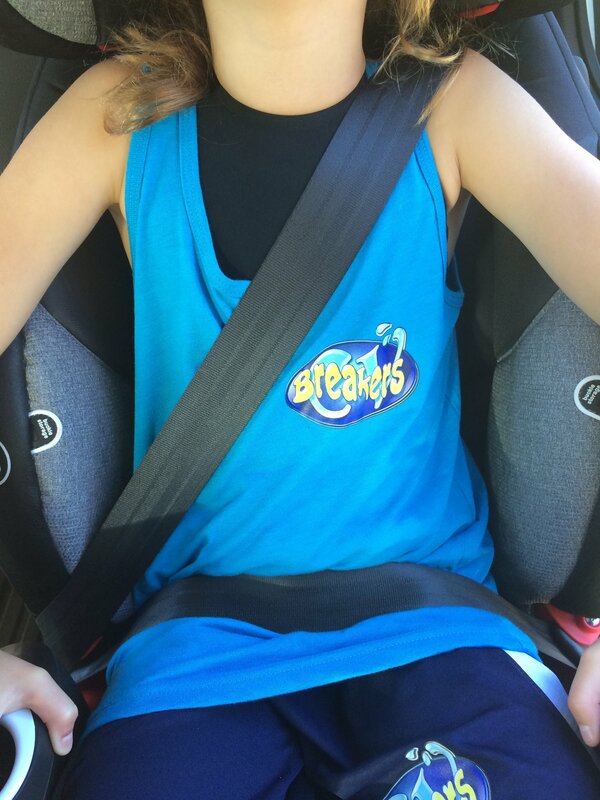 This seven year old is around 47 pounds and also found the seat comfortable in both harness mode and as a booster. The belt fit is excellent. The lap belt sits nice and low on her thighs and the shoulder belt is centered nicely on her shoulder. The belt fit on this 50 pound, 50” seven year old was also excellent. She found it was a bit narrow in the shoulders but otherwise was comfortable, and it would make an excellent seat for tall, slim kids. She had some trouble buckling around the large side wings, which may provide additional side impact protection, but thought she’d be able to do it with a bit of practice. The seat installed well in harness mode and the shoulder belt retraction was good in booster mode in every vehicle we tried, including one with notoriously long buckle stalks. However, we always recommend trying it in your vehicle before buying as fit can vary widely with different vehicles. We found the top tether to be quite short, which could be an issue in some vehicles (particularly vans with tethers on the floor or further back on a tail gate). Don’t despair though! 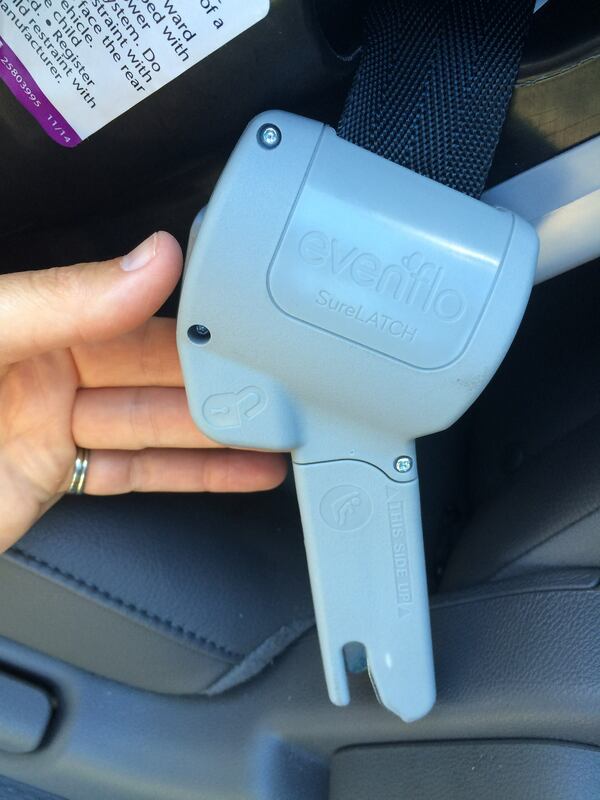 Evenflo does have a tether extender available if this is an issue in your own vehicle, and you can contact them to have them send you one. One feature we were keen to try is the SureLatch technology, which are retractable UAS anchors that are supposed to make the seat easier and faster to install. These are not available on all trim levels but we did get a chance to try them out on the review model. We found it lived up to expectations in the vehicles we tried it in, and you can see a video of it in action here. We do know there are some vehicles that, due to the angle of the UAS hooks or the seat bight, the SureLatch is not as easy to use, but overall I could see this being an excellent choice for a grandparent, someone who needs to move the seat around, or anyone with joint pain in their hands who may have trouble pulling a strap tight. 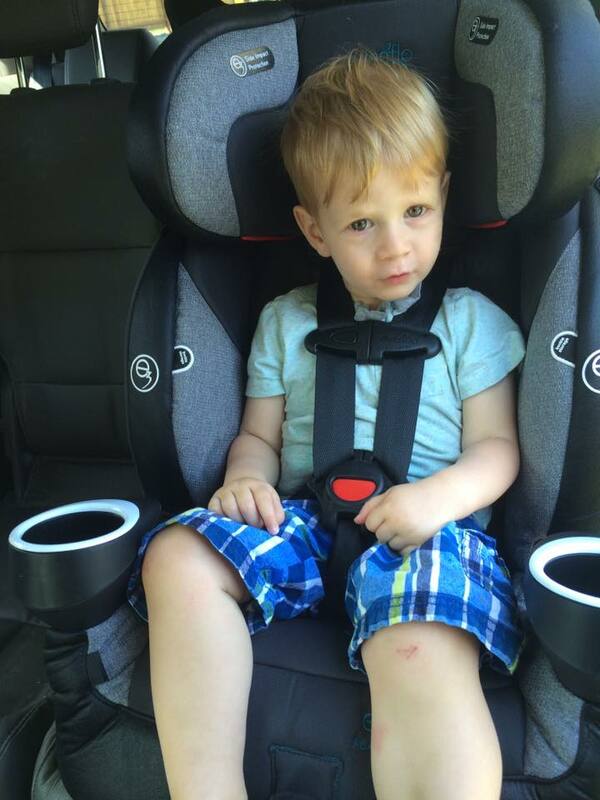 Note that your child must be under the latch weight limit for both the vehicle and the seat. The weight limit for this seat is 50 pounds, but your vehicle may have a lower limit so always double check. 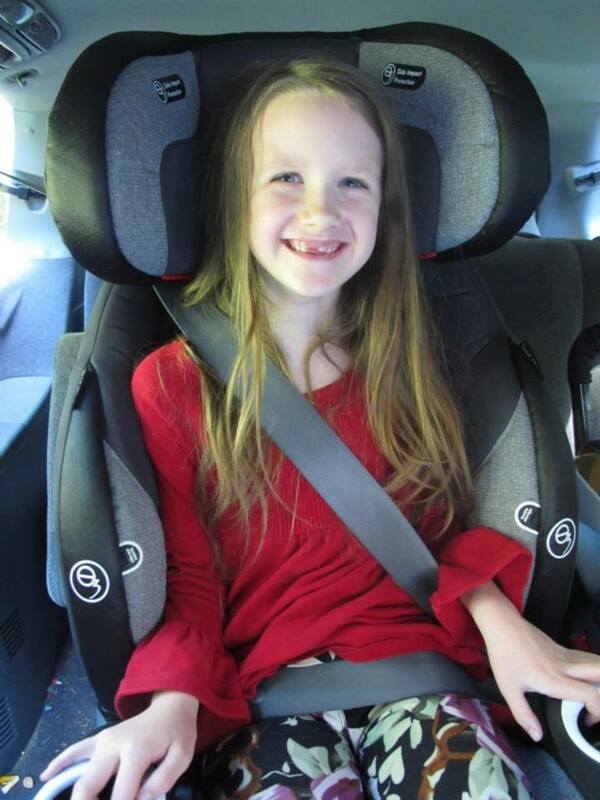 If your child is over the weight limit, or your vehicle does not have UAS or does not allow for UAS use in the position you are installing the seat, using the seat belt is just as safe provided you can get an acceptable installation. Overall the seat was easy to install with both seat belt and UAS. One thing that is different about the SecureKid in booster mode than most other booster seats, is that it has a level to line ground and a towel can be used at the back of the seat if needed to level that line (this doesn’t apply in harness mode though). This is one reason it’s very important to always read your manual, as no rules are universal! 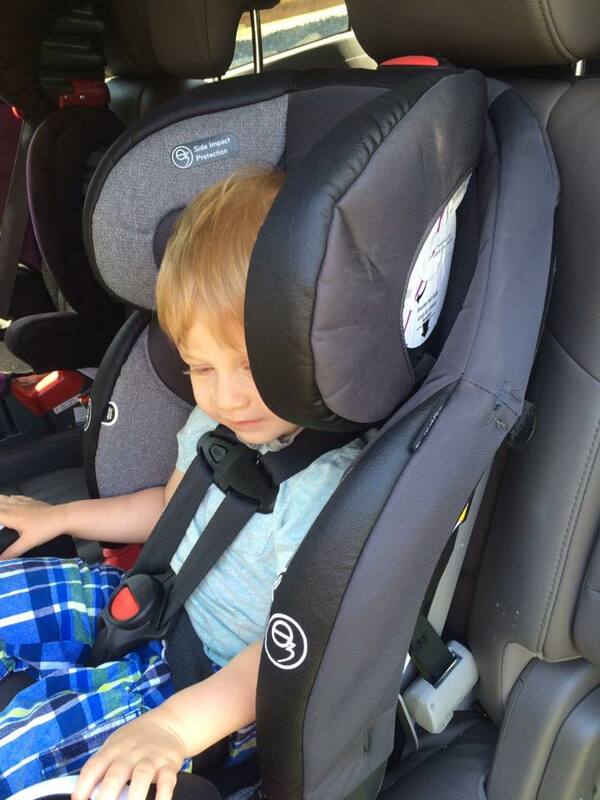 This seat is a nice, lightweight seat that makes both a good harnessed seat as well as a nice-fitting booster seat on the children we tried it on. 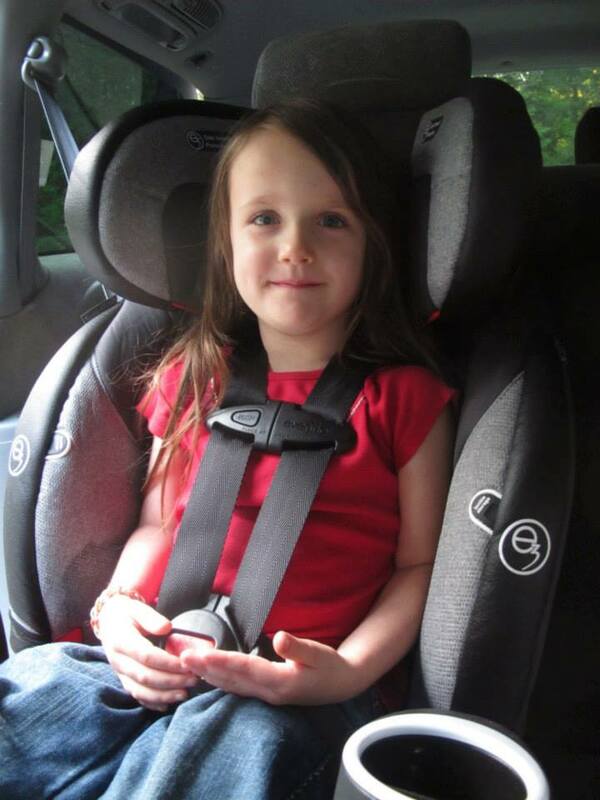 It has 18” top harness slots, meaning that while it is not the tallest seat on the market, it will get all but the tallest or longest-torsoed children to an appropriate age for a booster seat, and then makes a good high-back booster that will last those children until they are ready for a low-back booster seat. With the SureLatch technology, light weight, and easy conversion from harness to booster, this would be excellent for grandparents, daycares, or anyone else who has to transport more than one child. It would also be great for anyone with hand or joint pain who struggles tightening the straps on most seats. Thank you to Evenflo for providing the seat in this review. All opinions are our own. They have also generously offered one Secure Kid Platinum DLX in Emory to one of our readers. To enter, use the Rafflecopter below and tell us in a blog comment what feature of the SecureKid would be most useful to you and why. 70 comments to Evenflo SecureKid: A Sure Bet! I like this seat more than I expected to! I love the idea of the Outlast fabric for my kiddo who is always running on the warm side. I like the no rethread harness! This seat would be a great addition for my lineup with my 5 kids… I could use it for my 4 or 7 or 9 year old, giving me flexibility, and I like the idea of outlast. And well, I want all the seats. Perfect as a seat for moving between grandparents vehicles! The outlast fabric sounds really nice and also that it is machine washable. Thanks for the review and the chance to win. Love to have it as a seat for our second car and love the machine washable fabric ! I like this seat from what I see!! I like the outlast fabric, as well as the no rethread harness! The harness to booster that actually works! We’re on the market for one of these! Being machine washable is a bonus! Having a narrow seat for 3 across would be awesome! I would love this seat to go between my husband’s truck, sister’s car and grandma’s car. 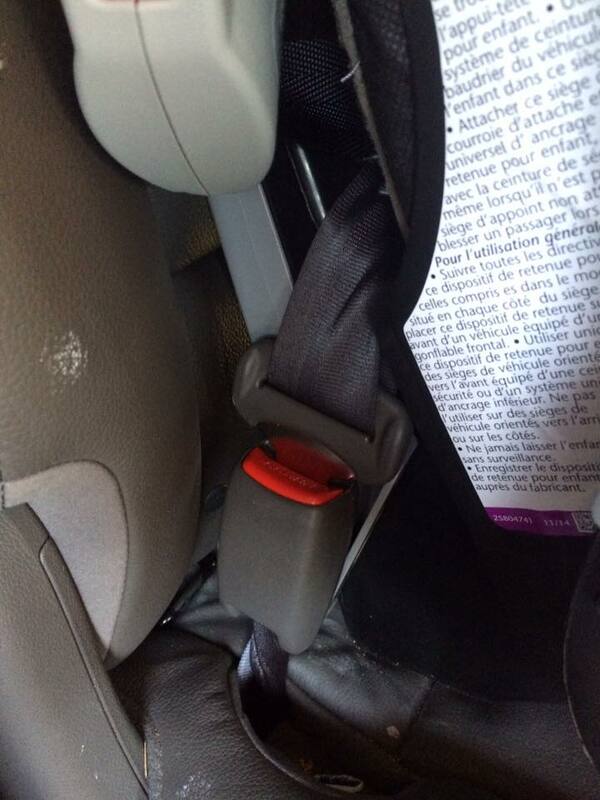 The no rethread harness would be so handy to use the seat for my son and my nephew. Love the easy no rethread harness so that it can easily be adjusted for different passengers. Outlast fabric, buckle pockets and sure latch easy install. The retractable LUAS anchors sound like they would make install much easier! I love the functionability of all stages! Love the flexibility to fit many kids! Perfect for Nana’s vehicle. Love the outlast fabric and that it’s lightweight – perfect for moving between our vehicles. Lightweight seat with easy UAS install is what attracts me most about this seat. It would give me a great option for transporting friends and family in my van safely, without relying on them to provide a seat. Seeing how versatile the fit is and how tall it reaches really makes it a good option for the not quite booster ready kids in my life. Thank for posting this! This would be a great seat for my tall/heavy 4 year old! 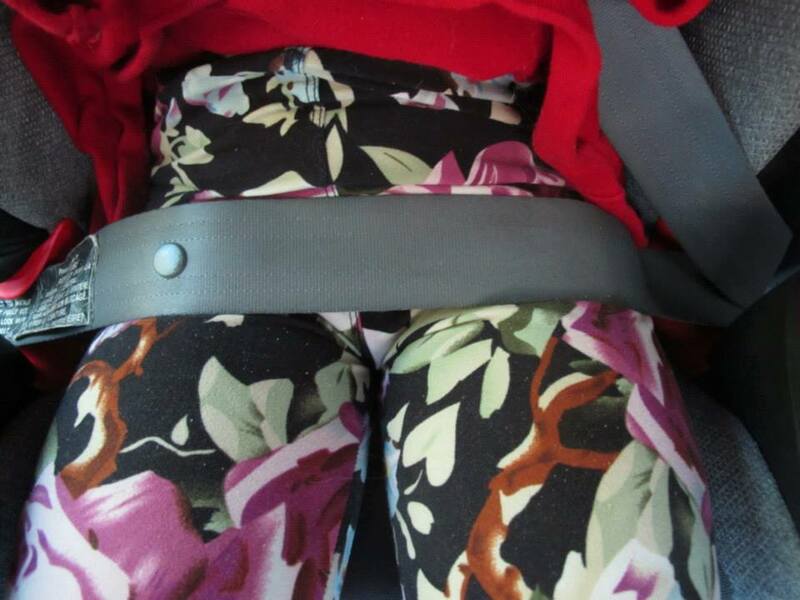 Oh that SureLatch would be amazing for times when car seats need to be swapped around… like when you run into Grandma at the mall and the 3 year old insists he MUST go home with her. I have a hot kid who would appreciate the outlast fabric! Love that the fabric is machine washable! It’s a super easy seat to install with UAS, and seatbelt install is easy as well. I like the versatility of this seat and the easy installation UAS connectors! The outlast fabric might be good for my 5 year old. She constantly complaints about being hot and sweaty in her current seat. I have a very tall/big 2.5 year old. I have heard wonderful things about this seat, including the fabric and flexible fit. If I have to FF him, I would love this seat!! Have always wanted to try an evenflo, and would love a seat for my husband vehicle. Thanks for the read as always ladies. This would be a great seat for my parents. They sometimes need help with installations and this would help I’m sure. Looks like a great option for FFing. We are just at the point of moving from RF to ff and this seat looks like a good one to consider for the outgrown seat in grandma’s car. This looks like a great option for the seat that is almost outgrown in grandma’s car. Like that it’s well priced and lightweight and good quality. We will soon need a new seat for our 4 year old, this would be a great option! I’d be keen to try the fabric on this seat, looks like it would hold up well. Great seat! Can’t wait to play with one! I have a 4 year old who’s about to go forward facing. I’d love to try this seat! She’s tall and skinny and I think it would be a good fit! We live this seat! Started using it at 3.75yrs when little sister needed the convertible seat. She’s now 5 and still fits great harnessed and will for some time yet. My favourite thing is how easy it is to install in a variety of vehicles. The sure latch is great! Outlast fabric! My LO is a sweaty one! I like that’s it’s light weight and works as a booster. We don’t have a vehicle, so if we do go in a vehicle it always requires carrying to and from the vehicle. The convenience of the Surelatch and the no rethread harness! I totally love the non retread harness feature! It would be really helpful since I have 5 kids and sometimes need to switch them into each others’ seats! Would be a great seat for the grandparents car!! I love the idea of the outlast fabric. Our current seat gets really hot when it’s left in the car, hopefully this fabric will help! I love the SureLatch! 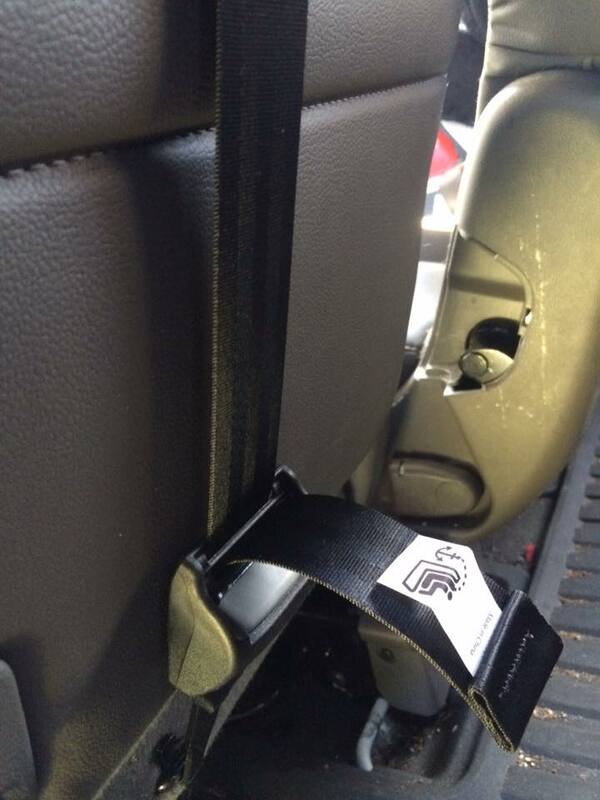 I had to help my mom out this week with installing a seat, but with SureLatch, I think she would have managed just fine. Would love a car seat for the second vehicle. Love the idea of machine washable fabric too! I like the idea of Outlast fabric helping to keep my daughter cool in the hot summer months. We foster and are always on the look out for an easy to install seat for birth family access visits. The secure latch looks like it wil help make install easier. This one looks really neat! I’m looking forward to getting a second converable seat in the car! I love that it would be suitable for a couple of my kiddos! This would be the perfect seat for my 6 year old with room to grow! I’m having a lot of problems with the joints in my hands and am finding it difficult to move seats back and forth between 2 cars regularly. The UAS on this sounds like it could make things a lot easier for me! I’m having a lot of trouble with movement in my hands lately, so that UAS system sounds like heaven! It would sure be nice for transferring between the 2 cars (which we do at least twice a week). 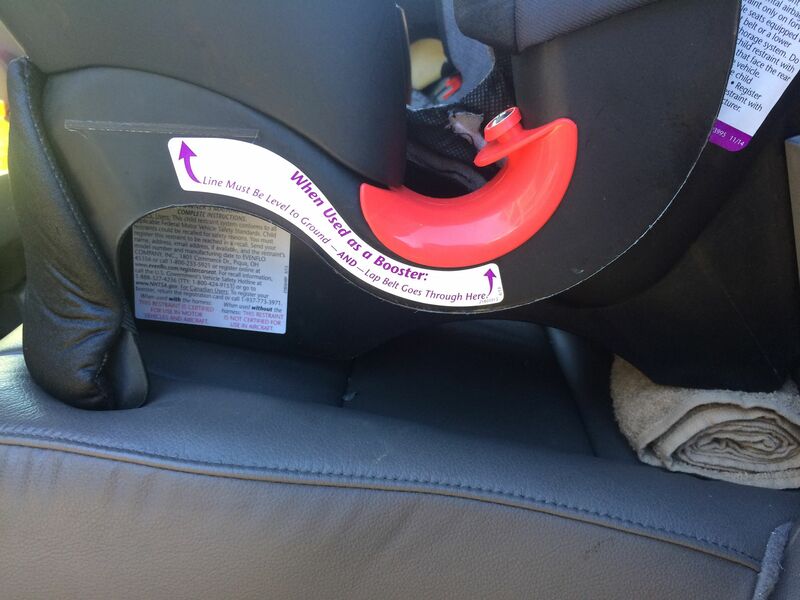 My daughter needs a new car seat…. I would love to win this! Love the idea that the fabric regulates temperature.